The school condemns fraternities, saying, "This is our house, not theirs." 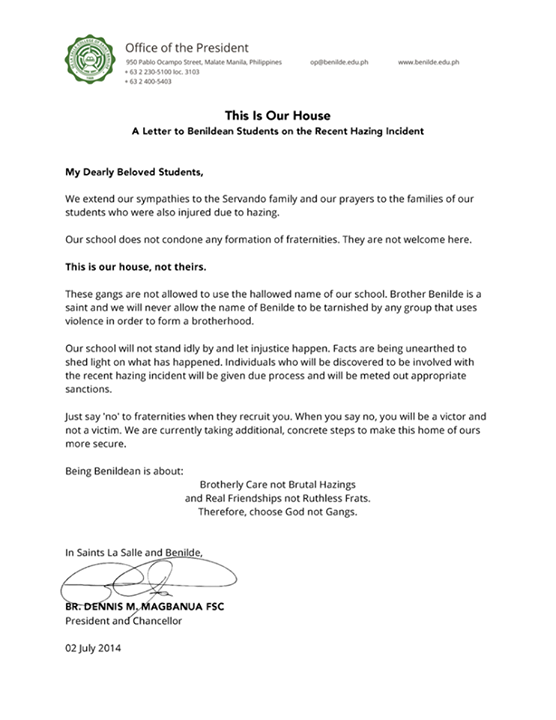 On Wednesday night, July 2, the De La Salle-College of Saint Benilde (DLS-CSB) administration issued a letter addressed to students regarding a fraternity hazing incident that led to the death of one of its students. The letter is signed by DLS-CSB president and chancellor Br. Dennis M. Magbanua.